A sturdy and stylish leather paddock boot for everyday wear. 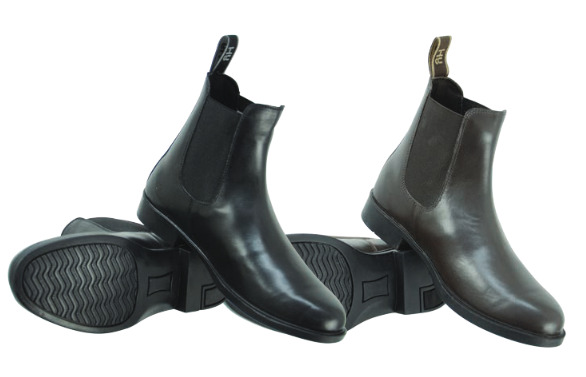 Made of real leather and lined with mesh fabric, the boots exude class and are designed for breathability. The stitched rubber sole provides additional strength, whilst the front YKK zip and elasticated side panels ensure a good fit at the ankle. The boots also feature a branded heel loop for ease of pulling on and off. There are currently no questions for HyLAND Southwold Leather Zip Paddock Boot - be the first to ask one!